This easy to match many occasions either indoor gathering or out door sports activities. Just measure your waist for an accurate size. It's held together very well. You can give it to your father, mother, friend, son, anyone you love, it's a good gift ! Alloy buckle. Belt material: 60% Polyester / 40% rubber elastic. 1.26 inch wide . Size: Fits Waists（28-30"）（32-34"）,（36-38"）,（40-42"）（44-46"）Just measure your waist for an accurate size. It is braided like cylinder and then pressed. 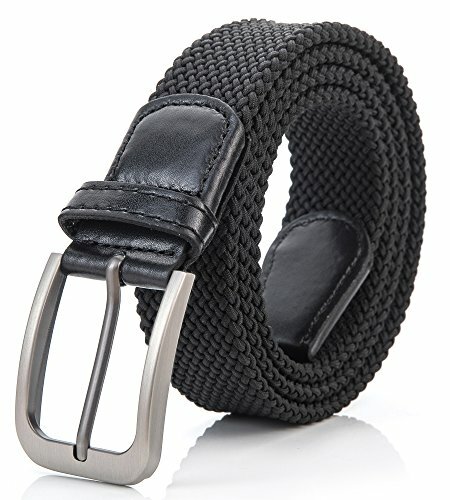 The Two-Layer braided belt, But it's very cozy .The material is first class elastic quality . Refined, breathable and no holes design, with the weave, anywhere is ok to insert and hold to fit. Firm elastic and durable. with the weave, they remain consistently flexible in terms of periodic expanding/shrinking of the waist，Suitable Men/Women/Junior, you can match any business casual pants, Dress, jeans, shorts It is a good choice as gift presented. If you have any questions about this product by Weifert, contact us by completing and submitting the form below. If you are looking for a specif part number, please include it with your message.